Crème de Violette is a staple of some classic cocktails, including the Aviation, and gives you a lovely purple hue and vivid floral flavor. We won’t claim that these cocktails are aphrodisiacs. They’re not dosed with chocolate. They’re not even bright pink. But we’ve recently fallen in love with an American-made floral liqueur that’s an absolute delight in cocktails—and if Valentine’s Day isn’t the time for flowers, when is? Crème de Violette is a staple of some classic cocktails, including the Aviation, and gives you a lovely purple hue and vivid floral flavor. In the past, we’ve played around with rose liqueur, too, which leaves cocktails with a pleasant rosy aroma. But Tattersall Crème De Fleur is something different. Rather than relying on a single blossom, it’s distilled with six aromatic flowers. As a result, it’s not an identifiable rose, or violet, or elderflower, for that matter. Instead, the scent is that of a sweet bouquet, more generally floral than it is one-note. With restrained sugar and a 30 percent ABV, we’ve found it awfully easy to use in cocktails. Here are three we’ve loved. While many liqueurs clock in around 20% ABV, this Crème De Fleur is a little boozier. So while we’d often just pour a great liqueur into a glass of bubbles, here we’re doing a bit more, rounding it out with sugar and lemon, almost in the manner of a French 75. Instructions: In a cocktail shaker with ice, combine two ounces of Crème De Fleur, half an ounce fresh lemon juice, and half an ounce simple syrup. Shake until well-chilled, then strain into a wine glass with ice. 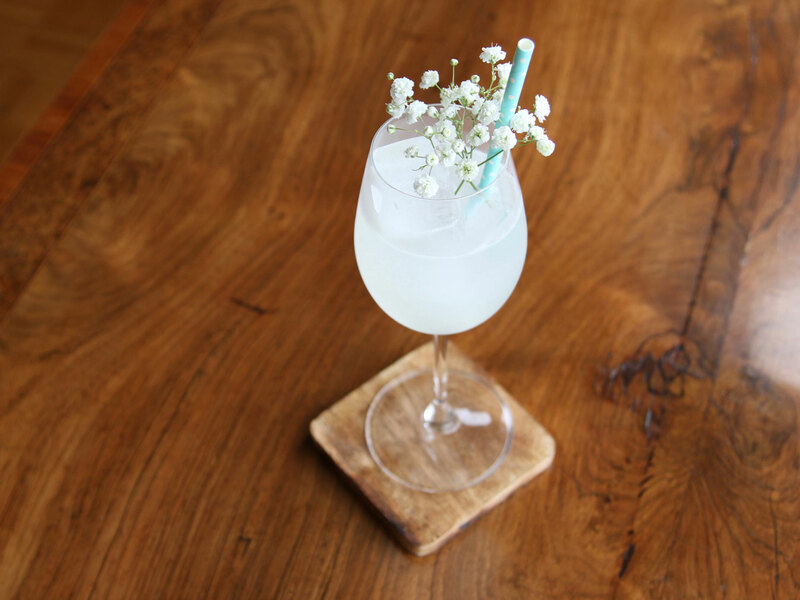 Top with two ounces of sparkling wine, and garnish with a straw and maybe a sprig of baby’s breath. We wanted to play up the light floral flavors of this liqueur with other bright, vibrant elements that wouldn’t overpower it. So we turned to tangerine and mint. Together, the three combine for a juicy, fresh cocktail boozed up by just a little vodka. What’s not to like? Instructions: In the bottom of a cocktail shaker, muddle the segments of half a tangerine. Then add ten mint leaves, along with half an ounce of vodka, an ounce of Crème De Fleur, half an ounce of simple syrup, and a quarter-ounce of lemon juice, plus ice. Shake up until well-chilled, then double-strain (through a fine mesh strainer, as well as through the shaker’s own strainer) into a tall glass over fresh ice. Top with two ounces of club soda and stir briefly. 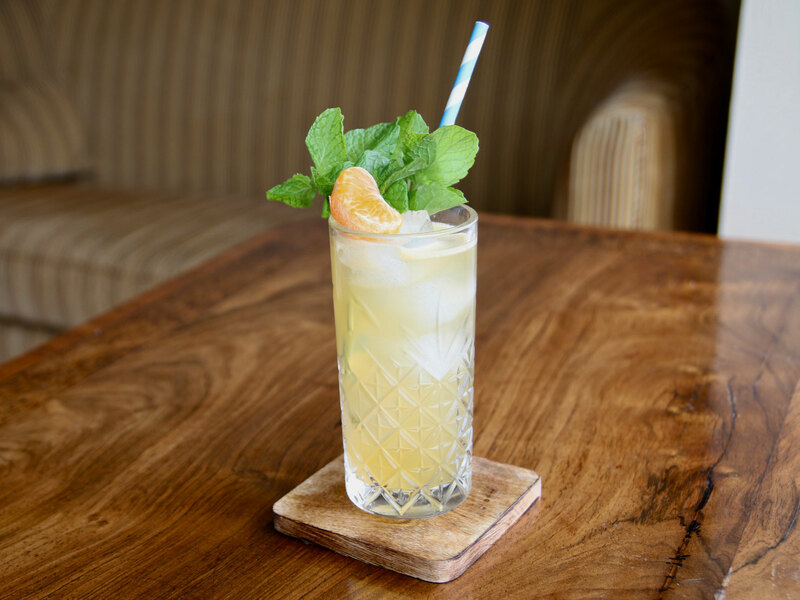 Garnish with a tangerine segment and a small bouquet of mint, tapped gently against your hand before adding to the drink to release its aroma. 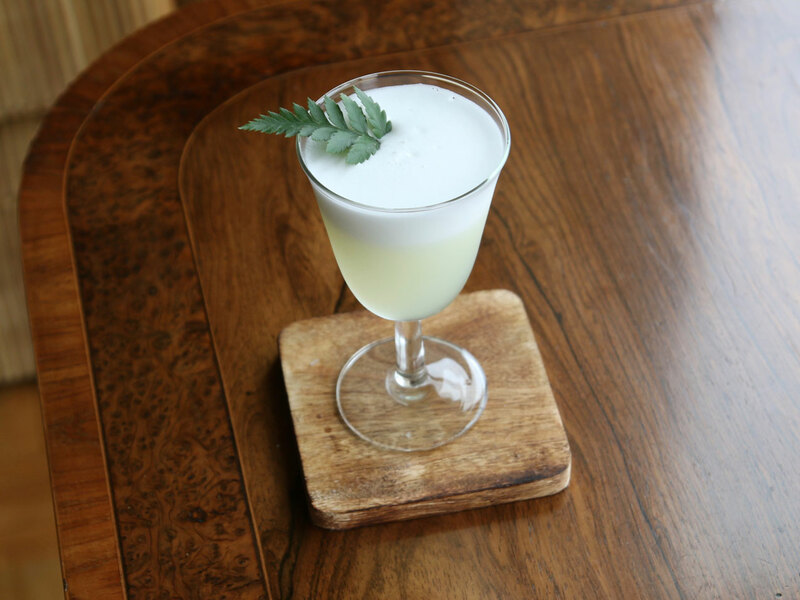 Egg white has a way of making cocktails light and silky, which plays beautifully with delicate flavors like the floral notes of this liqueur. Gin is a perfect counterpart, punching it up and adding an herbal backbone to the Crème De Fleur’s perfume. Instructions: In a cocktail shaker without ice, combine half an ounce of gin, an ounce of Crème De Fleur, 3/4 ounce of fresh lemon juice, 1/2 ounce simple syrup, and one egg white. Shake all that up without ice to aerate it — that’s called a “dry shake” — and then add ice and shake again for a “wet shake,” to chill it down. Strain into a chilled coupe or similar glass, and garnish with a sprig of edible greenery -- herbs, an edible leaf, whatever you’ve got.